Dr. Campbell attended Delta State University and graduated from the University of Mississippi School of Medicine in 1983. He completed his residency training in internal medicine at Baptist Memorial Hospital-Memphis, and in 1986, served as chief resident in his field. In 2013, Dr. Campbell attended Auburn University and earned his MBA. 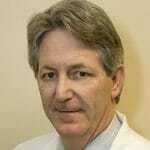 Dr. Campbell is certified by the American Board of Internal Medicine. Dr. Campbell currently serves as the President of the board for CMPM and is a past-president of the Memphis Medical Society.